Research on women's roles in rural development has found that women's contribution to the rural economy is commonly underestimated and that women may find it difficult to benefit from the development process. 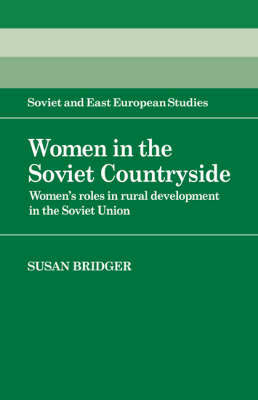 Within this context, this book looks at the Soviet experience of development as reflected in the lives of rural women. It attempts to analyse the gains made and the problems still faced by rural women in a country where development policies have been accompanied by a formal commitment to sexual equality. In its introduction, the book briefly outlines the impact on rural women of social, economic and political change in the countryside from the revolution to 1960. It then goes on to examine in depth changes in the role and status of women in the Soviet countryside.